A delicious way to serve seasonal fruit dessert: light, quick and easy and best of all deliciously served in puff pastry. Using a large pastry cutter or a small saucer as a guide, cut pastry sheet into 4 rounds and place on a lightly greased baking tray. Peel and core apples, quarter and slice thinly. Sprinkle grated lemon zest and juice over apples. 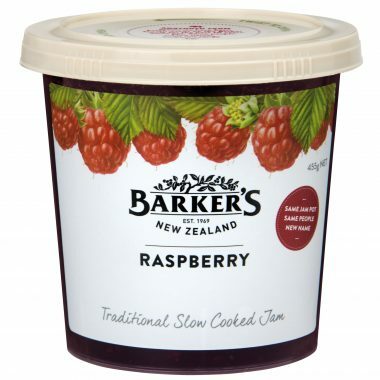 Spread Raspberry Jam over pastry, reserving 2 tablespoons for glazing. 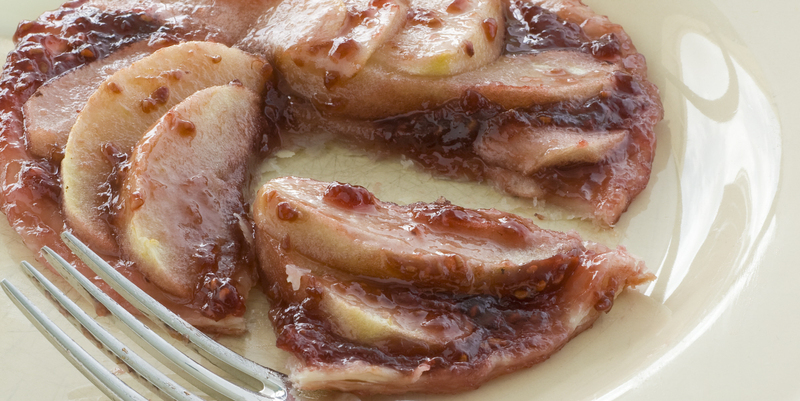 Arrange the apples, overlapping, on top of jam. Bake until apples are browned and pastry crisp (approx 20 minutes). Warm remaining jam and water together and brush over apples. Serve with natural yoghurt or vanilla ice-cream.